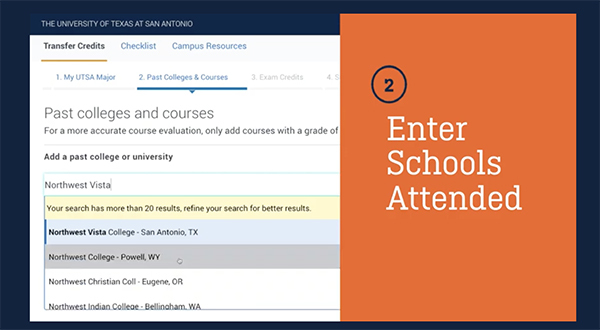 (March 18, 2019) -- UTSA has launched an online tool to make the transfer process easier for undergraduates across the nation. 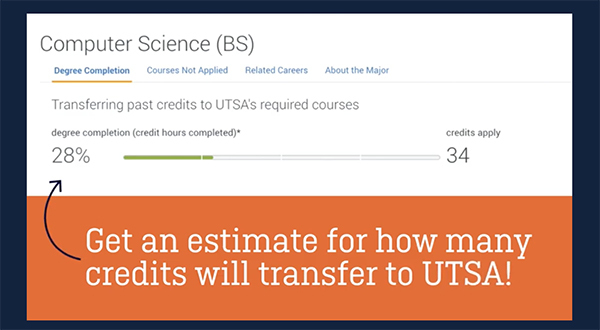 The new UTSA Transfer Credit Calculator allows prospective students to quickly verify how many of their college credits will transfer to UTSA. 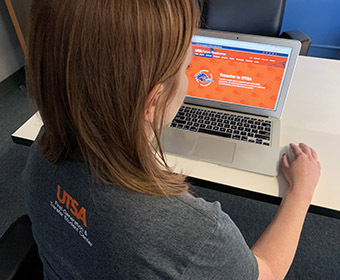 UTSA’s online calculator is the only resource of its kind in San Antonio and in South Texas and is one of few that is available at any university in Texas. 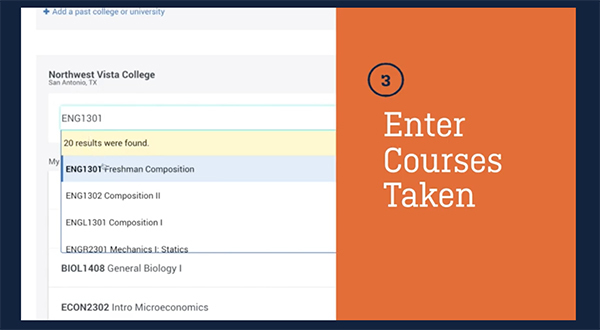 The calculator offers personalized information for each student’s major and lets prospective students record every college credit they have earned from the institutions they have attended. >> Watch a video on the Transfer Credit Calculator. 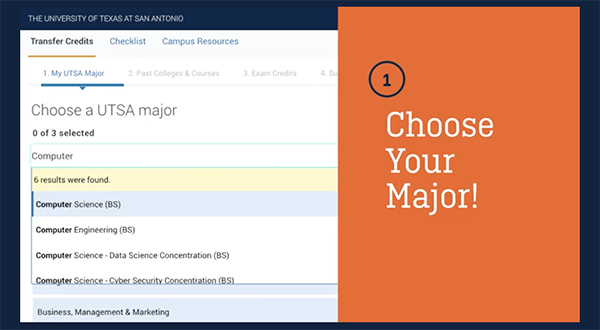 All that Future Roadrunners need to do is (1) choose their UTSA major, (2) select a college they have attended and (3) enter the courses they have taken there. While in the calculator, students may create a profile to save their work. They also have the option of emailing a UTSA transfer counselor. Each semester, more than 3,100 students transfer to UTSA to earn a four-year degree. About half of those transfer students come from the Alamo Community Colleges District. UTSA currently offers 67 bachelor’s degree programs. The most popular program for transfer students is pre-business, followed by pre-biology, psychology, kinesiology and criminal justice. Sandor Valero, a sophomore kinesiology major at San Antonio College, used the calculator to prepare to transfer to UTSA this fall. Try out the UTSA Transfer Credit Calculator. Learn more about being a Future Roadrunner. Learn about other UTSA and Alamo Colleges partnerships for transfer students.